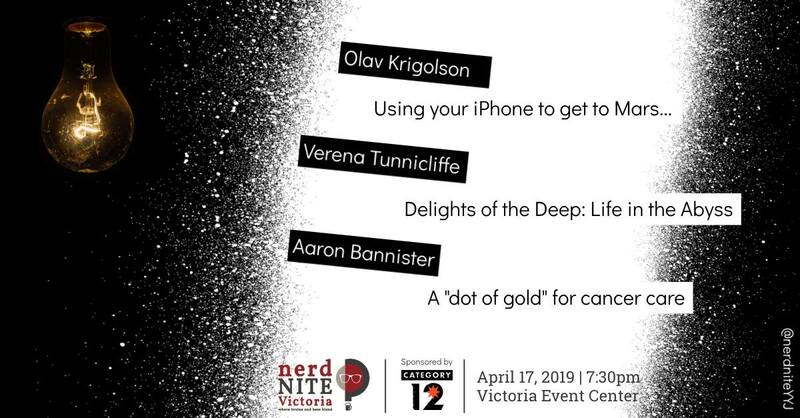 Nerd Nite Victoria is back in April! Join us for another exciting evening where enthusiasts talk about their passion in the company of beer in an informal atmosphere. Our audience consists of anyone who is interested in science, geeky subjects and other passions. Entrance fee $5 (students, door only), $10 (regular), donations encouraged (*). Tickets through Eventbrite.